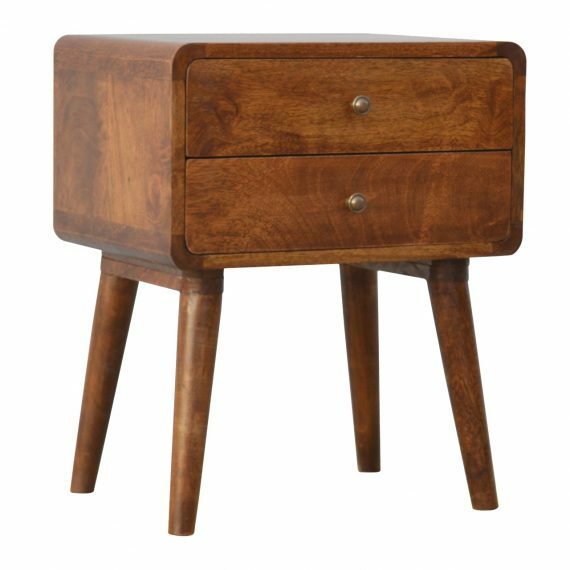 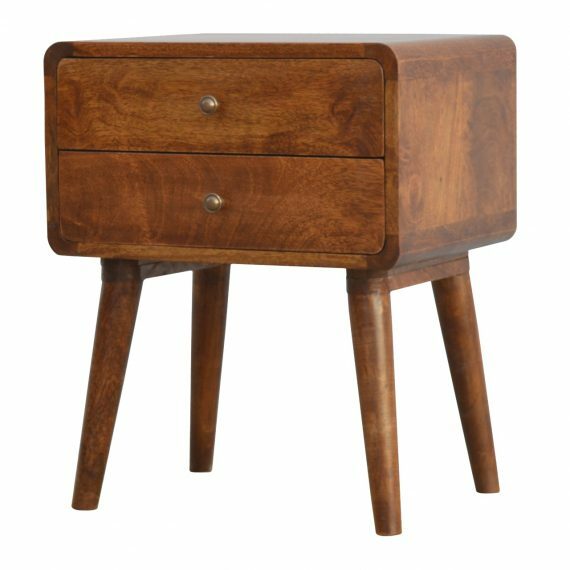 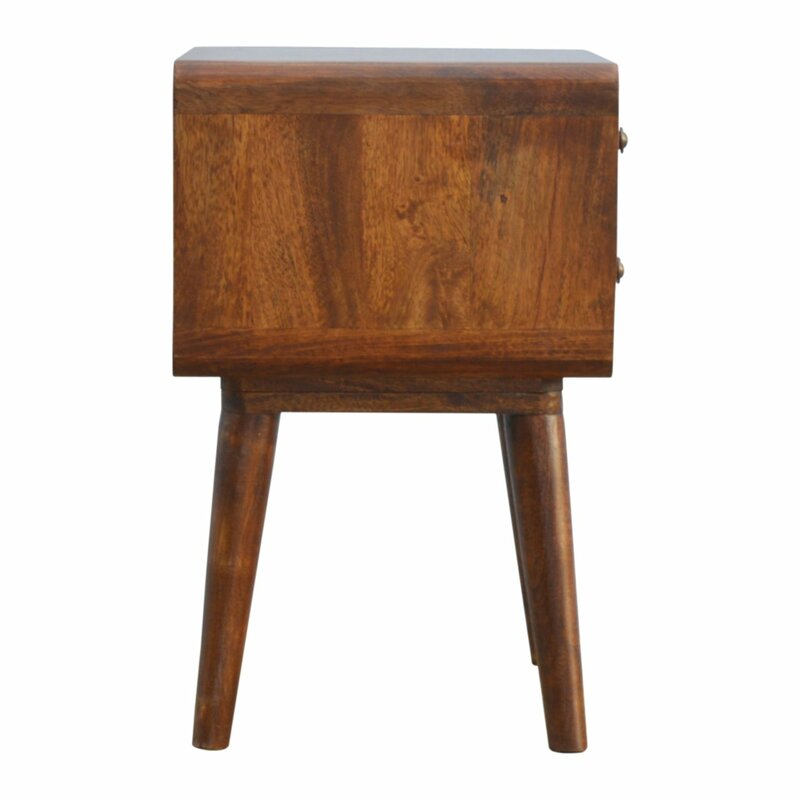 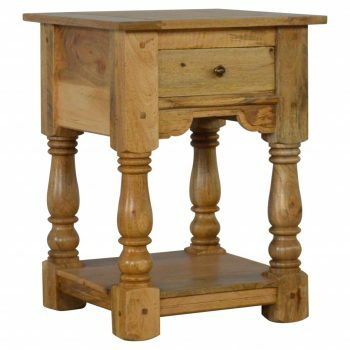 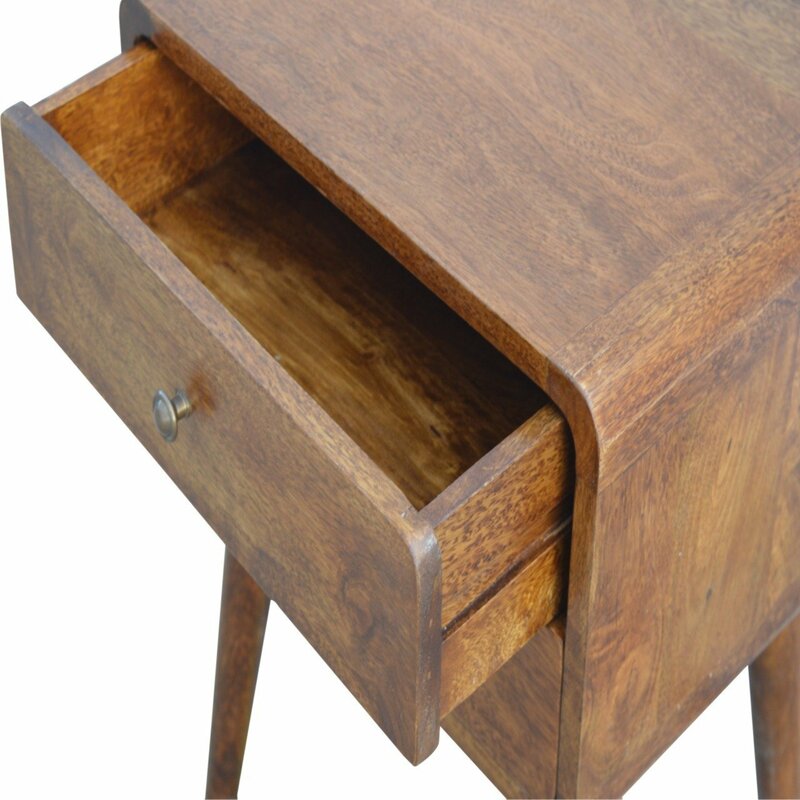 Endlessly versatile, this bedside table makes a perfect stand for nibbles, drinks or a lamp. 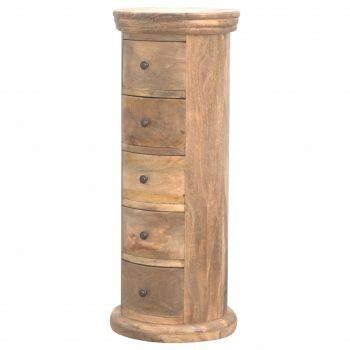 It will prove handy all over your home and is made from 100% solid mango wood and has a fine chestnut finish. 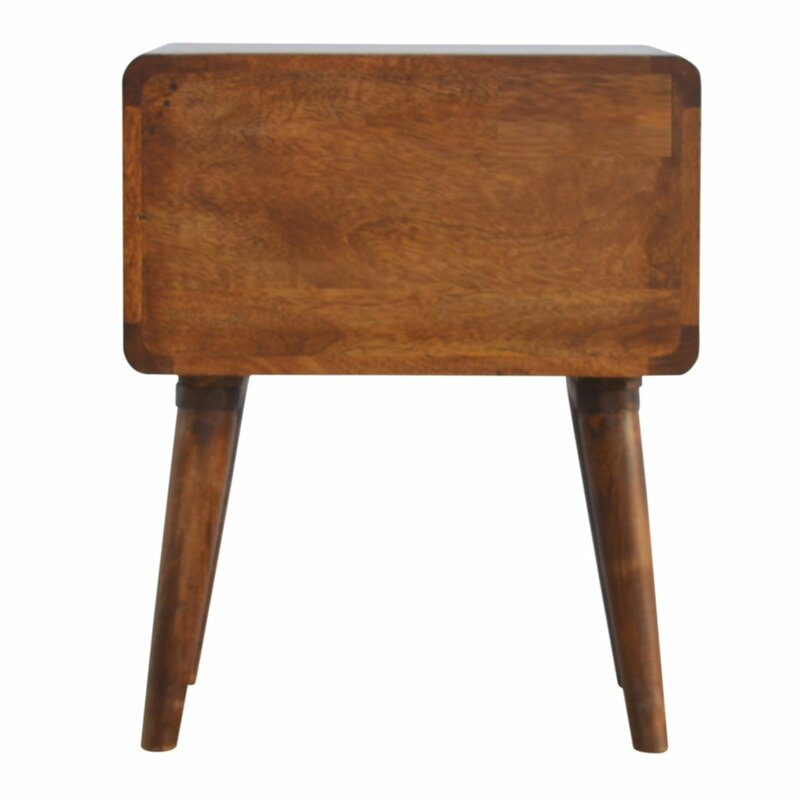 It has curved edges which will fit into any home/living space. 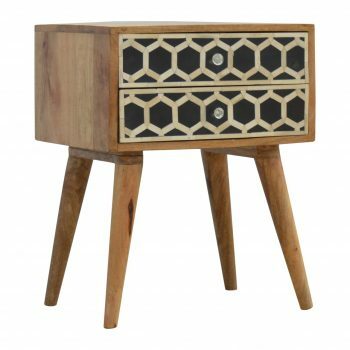 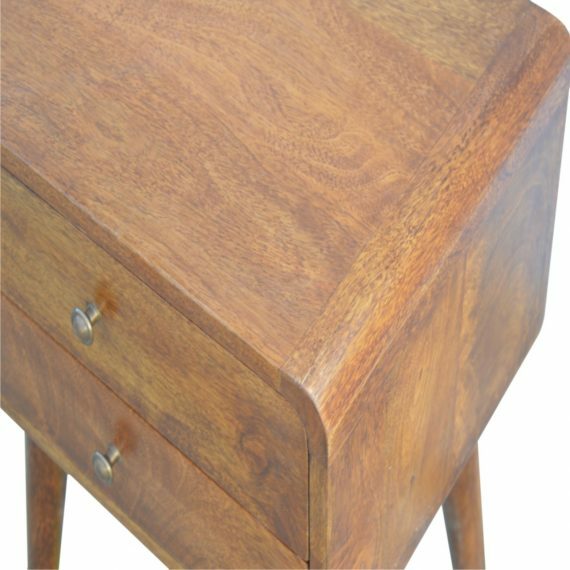 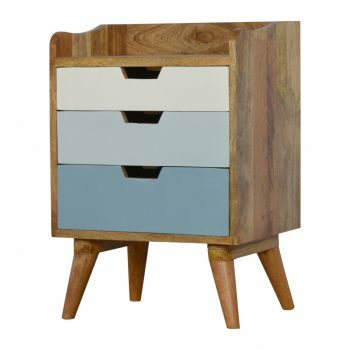 It also comes with 2 drawers that come with shiny brass knobs and 4 Scandinavian styled legs. 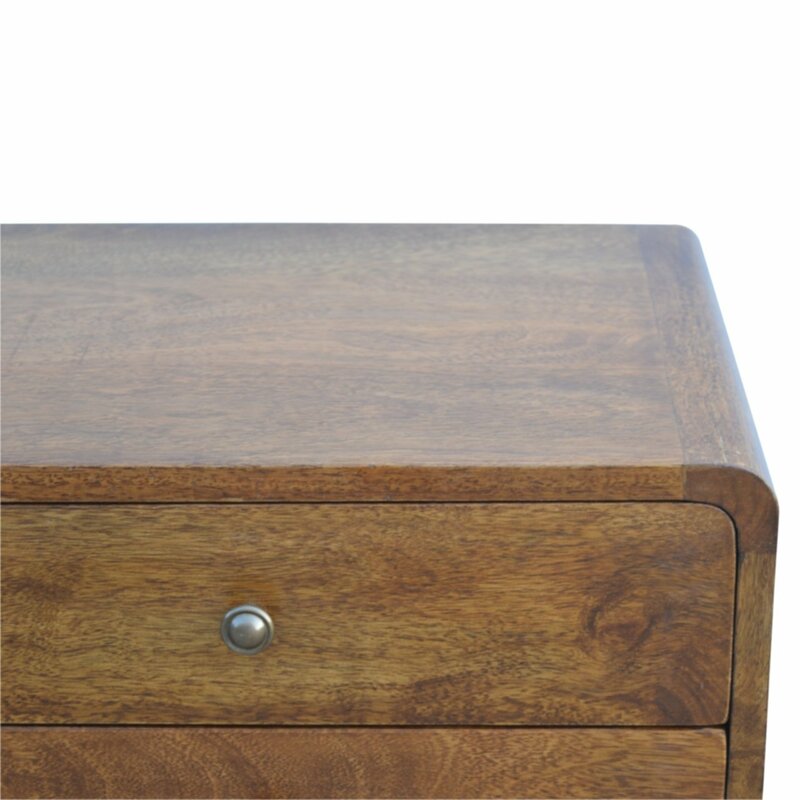 This product is made using sustainable resources under certified commercial plantation programme.